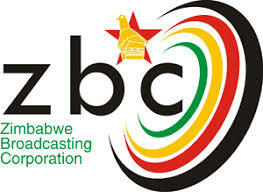 THE Zimbabwe Broadcasting Corporation has successfully obtained an order to evict Blackbury Enterprises (Pvt) Ltd from its premises after accusing the latter of occupying its property without consent. According to court papers, sometime in November last year, the national broadcaster filed summons at the High Court seeking to evict Blackbury, whose ownership was not disclosed, from number 1, Northend Road, Highlands in Harare. In its declaration filed alongside the summons, ZBC said it was the owner of the property in question, but Blackbury was occupying the premises illegally. After hearing the matter in his chambers, High Court judge Justice Alpheus Chitakunye issued an order on January 16, 2019 evicting the company from the premises. whatsoever claiming right of occupation through defendant from the said premises. (2) The defendant shall pay the cost of suit on an attorney and client scale,” the judge said.